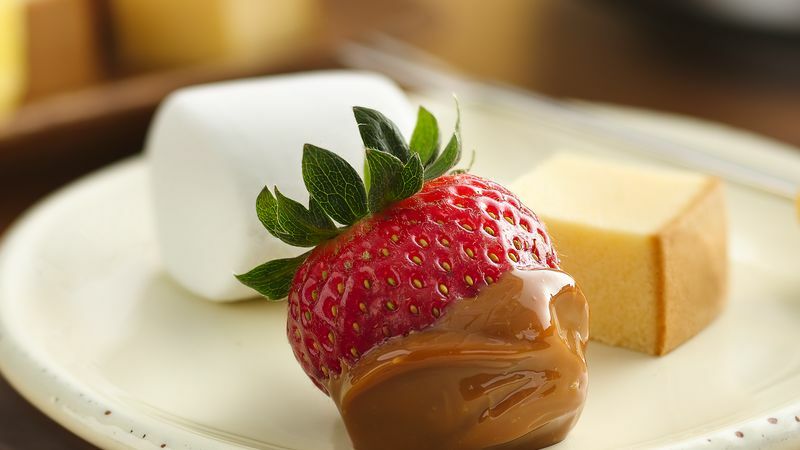 In 1-quart slow cooker, cover and cook dulce de leche 30 minutes; stir. Cook about 30 minutes longer or until thoroughly heated. Stir in rum until smooth. (Stir in additional rum or milk for a thinner fondue.) Unplug slow cooker before serving. Serve with dippers. Blend leftover fondue into milk shakes, or drizzle over ice cream as a substitute for hot fudge sauce. Look for dulce de leche in the Hispanic foods area of the grocery store.